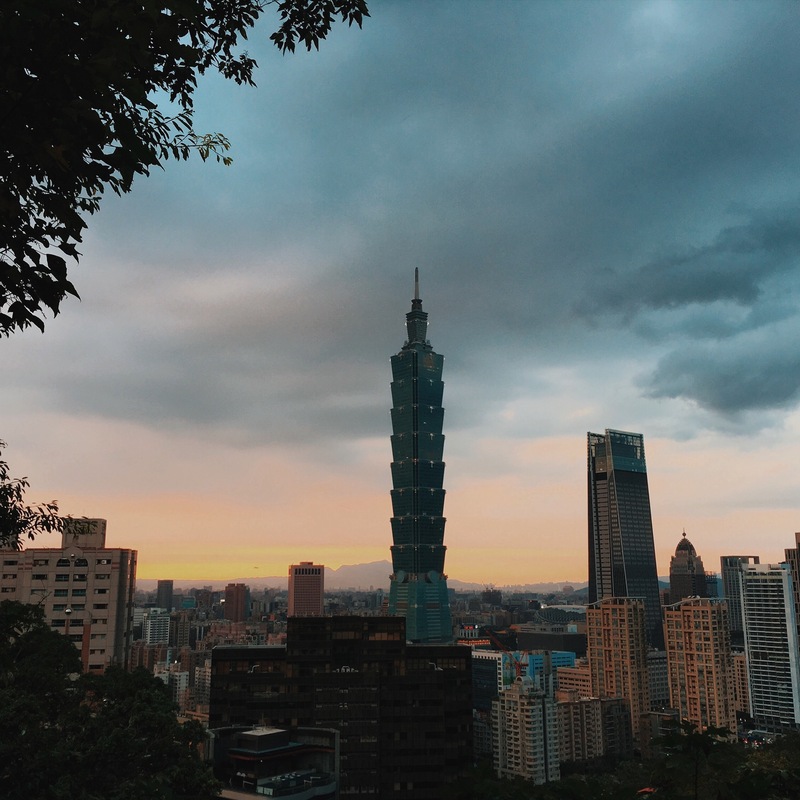 People are a little hesitant to book a flight to Taiwan because of the visa thing, especially when the visa-free announcement was postponed. But don’t worry since you can still apply for e-visa or if you qualify you might not need any visa at all. If you have an active visa to any OECD country (US, Canada, Japan, etc. ), you are visa exempt and do’t need to pay visa fees. You just need to fill out a form from the TECO website and get a visa certificate which you will present along with your OECD visa at the immigration. What’s great is that even if your visa has expired within 10 yrs time, you can still use it! Amazing di ba? This is what I used for our trip. Speaking of bus, I also suggest that you get an Easy Card. It’s a reloadable card which you can use to ride the bus, MRT or buy from a convenience store. You can buy a card for NTD100 then reload it anytime. This will save you time lining up for tickets for the bus/MRT. 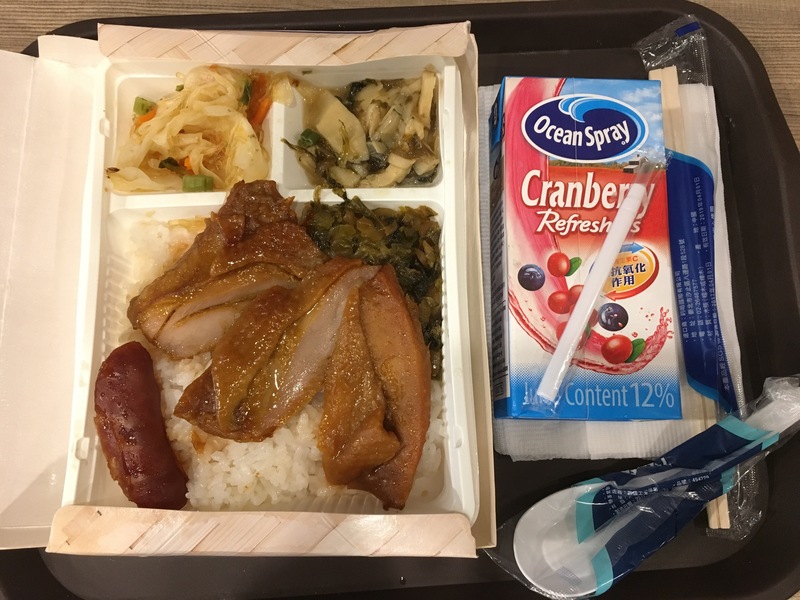 It will take about an hour bus ride from the airport to the city so I bought something to eat from the convenience store (Hi-Life). I have no idea what this is but it looks safe haha. It turns out to be a sandwich with chicken fillet and egg. Yummy! Food number 1 did not disappoint! We reached the hotel too early for check in so we tried to rest there for a while then went out for breakfast. 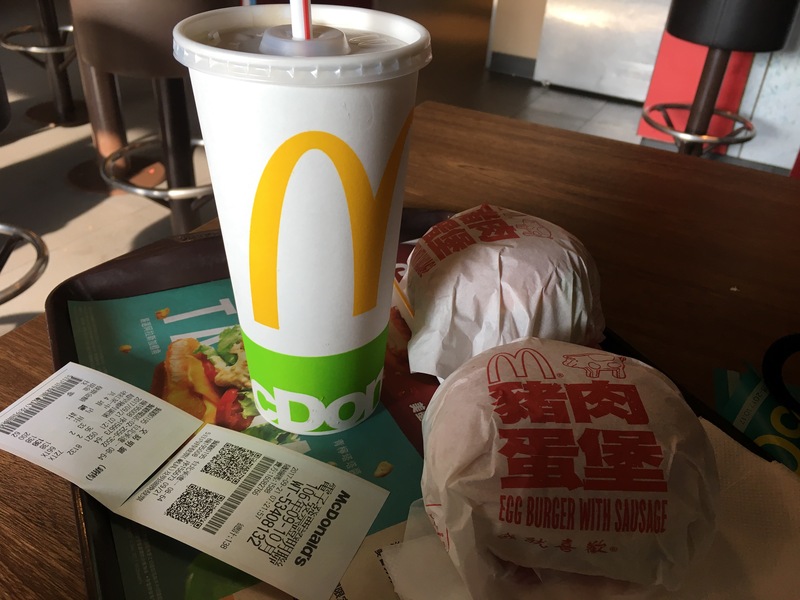 Most of the establishments are still closed so we went to the ever reliable Mcdonald’s near the main station. You can reach the zoo via the MRT; entrance fee is NTD60 which you can also pay using the easy card. 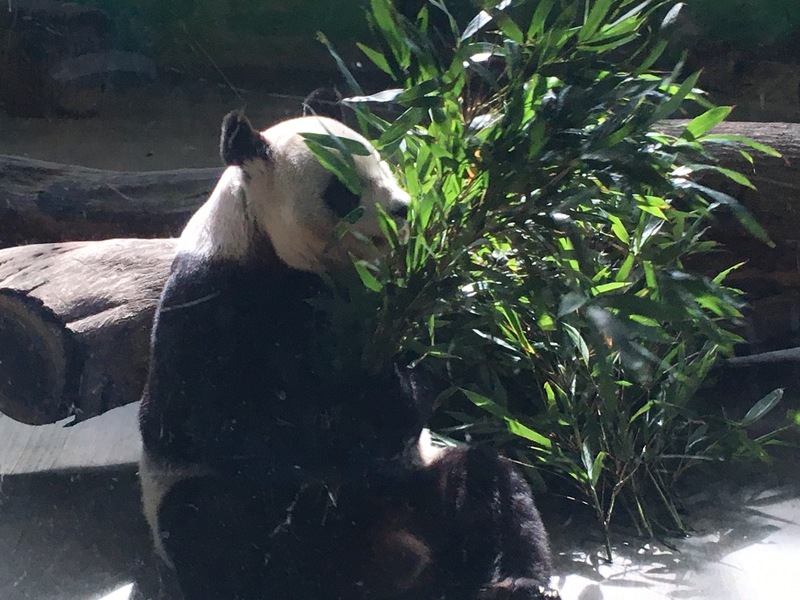 Also, I was half expecting for the zoo to be kinda smelly since you know different animals.. but no, the place actually smells good! I hope our zoo here will be as well maintained as theirs. We took the train going to Ximen and went out exit 6 to reach Ximending. It was hailed as the harajuku of taipei since it has alleys of hip fashion finds and food options! It also has a busy pedestrian crossing, similar to Shibuya of Japan. 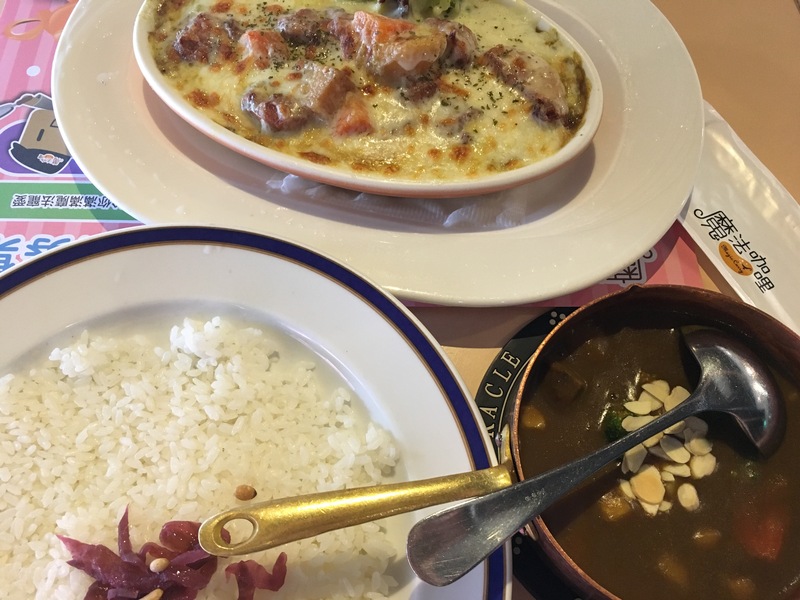 We had lunch at Magic Curry; kinda hard to spot since it’s at the second floor of some establishment with a small signage. I opted for beef curry while C had what looks like a chicken casserole. Both are really tasty! Meal cost around NTD400 total. Of course, I wouldn’t go to this trip without trying their bubble tea! 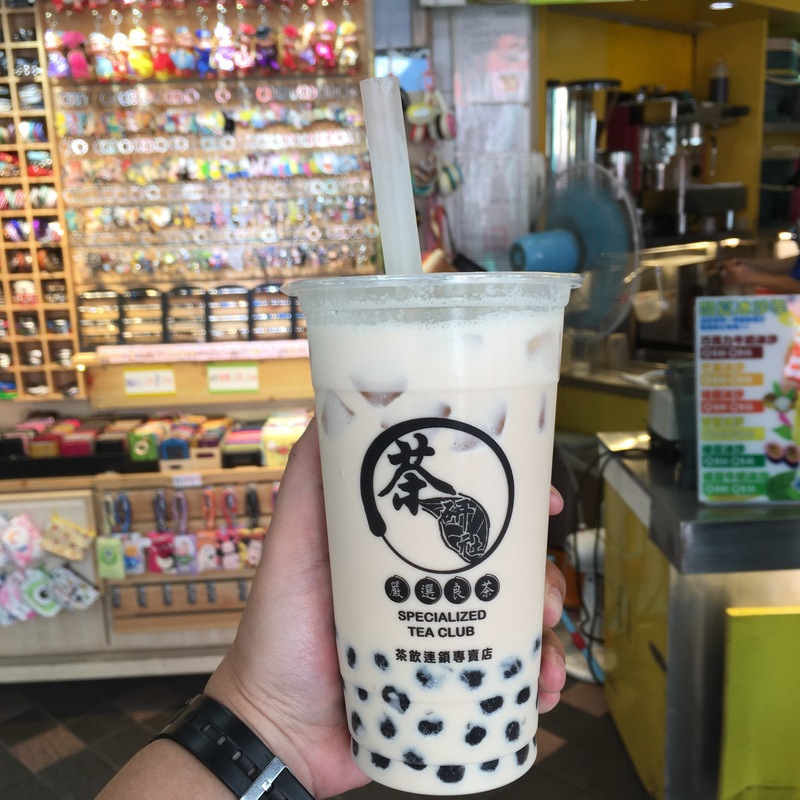 Did you know that the pearl milk tea/bubble tea originated in Taiwan? So it’s just fine to assume that they have the best one. And yes, they do! Fresh milk + tea + pearls.. what’s not to love! We passed by different street food stalls going back to the train station. 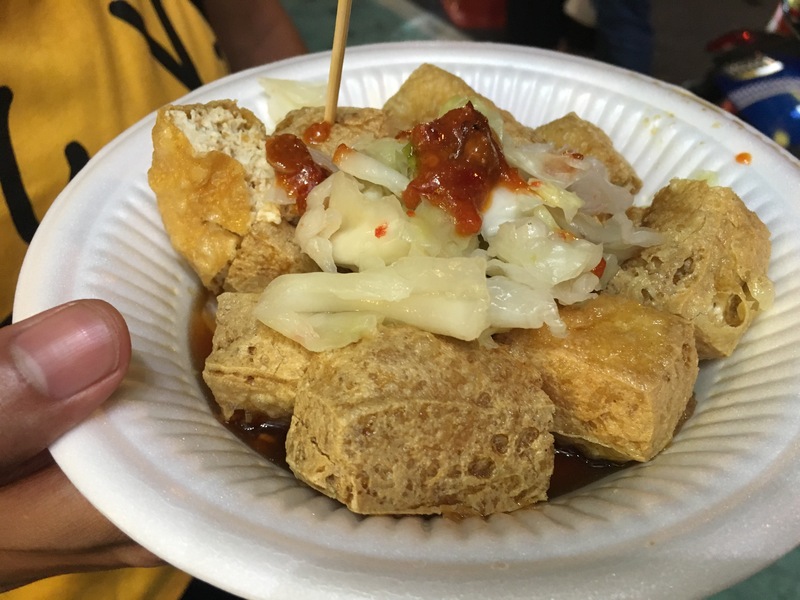 Of course, we had to try the famous stinky tofu (actually only C tried them because I can already feel my stomach hurling from the smell, one word: sewer haha) You can have a taste for only NTD45. While he is enjoying(?) his tofu, I opted for the torched wagyu beef instead (NTD100), sounds fancy but no haha. 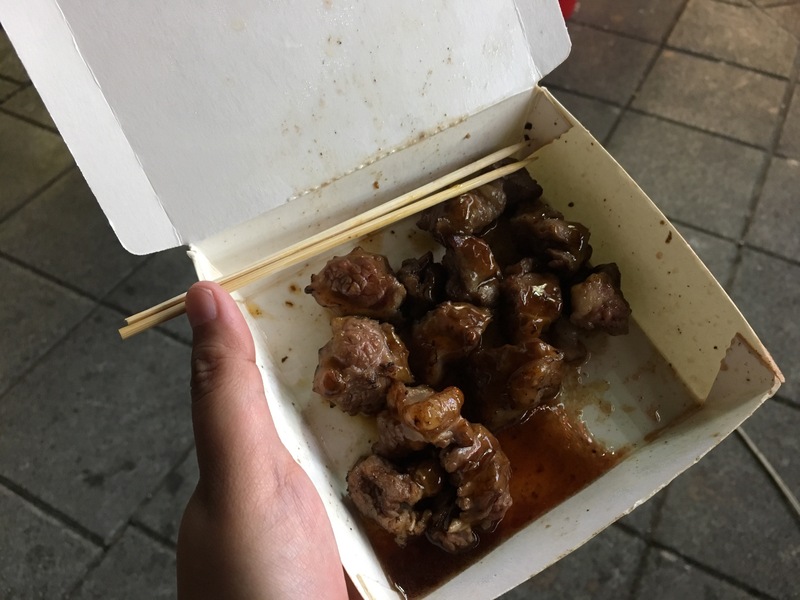 Uhmm it just tastes normal beef with sauce to me. I wasn’t able to finish it. Our accomodation came with free basic buffet breakfast so we had to take advantage of it. Operative word, basic.. so no bacon, egg station, hotdogs and the like. They had salad though, pancit and potato croquettes which are enough for me. Reminder: apply sunblock and bring an umbrella if you don’t want to get toasted! There is a small restaurant just outside the park so we decided to have lunch there. 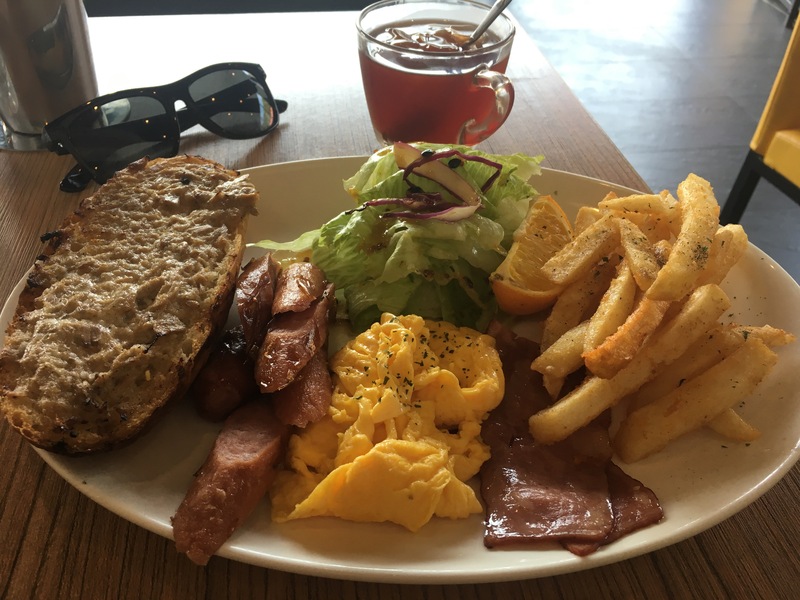 It’s called Shark Bites Toast where they serve american style dishes. C had chicken curry while I had the one in the photo below because it looks very promising and filling haha. Our total bill is about NTD400; meal comes with free hot or iced black tea. 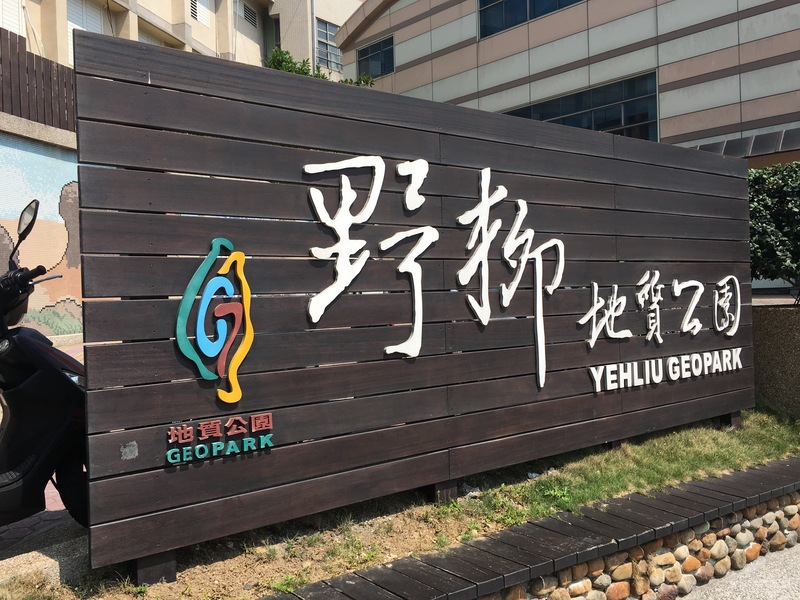 From Yehliu, you can take a bus to reach Jiufen. Wait for bus 790 to Keelung train station, from there take bus 788 to Jiufen. It will take around 40 minutes each bus ride and you can also use easy card to pay. 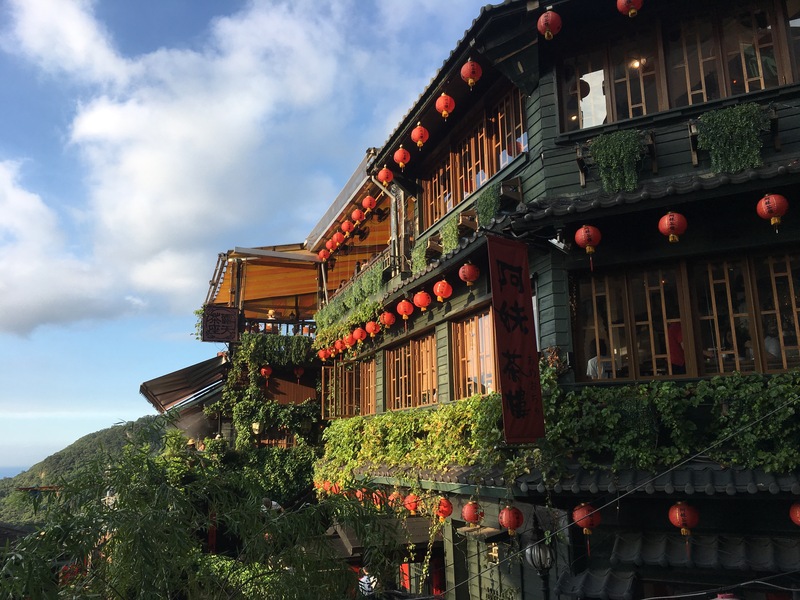 Jiufen is a sprawl of food stalls and novelty items. It has narrow streets leading to picturesque views of the mountain side. 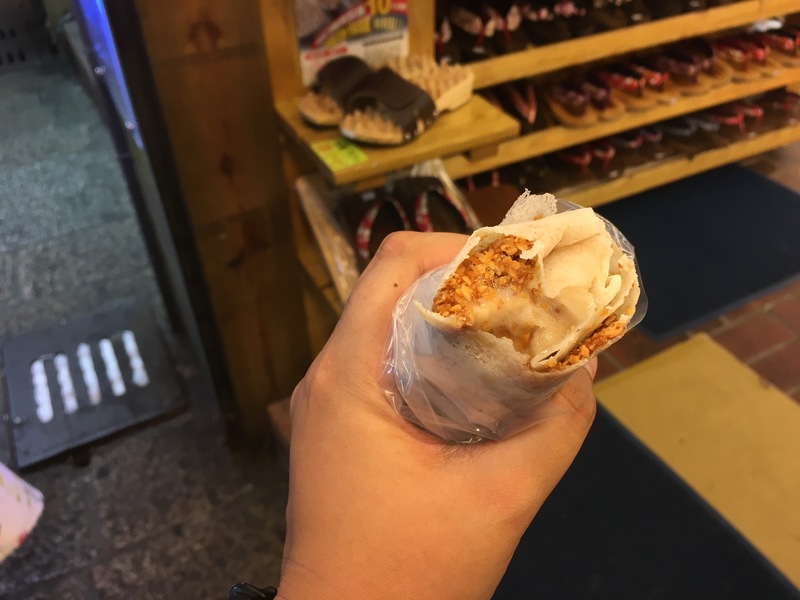 We munched on peanut ice cream roll while walking around. This is really good and refreshing! Not too sweet as well. You can taste the distinct peanut flavor mixing with the ice cream and it’s only NTD40! 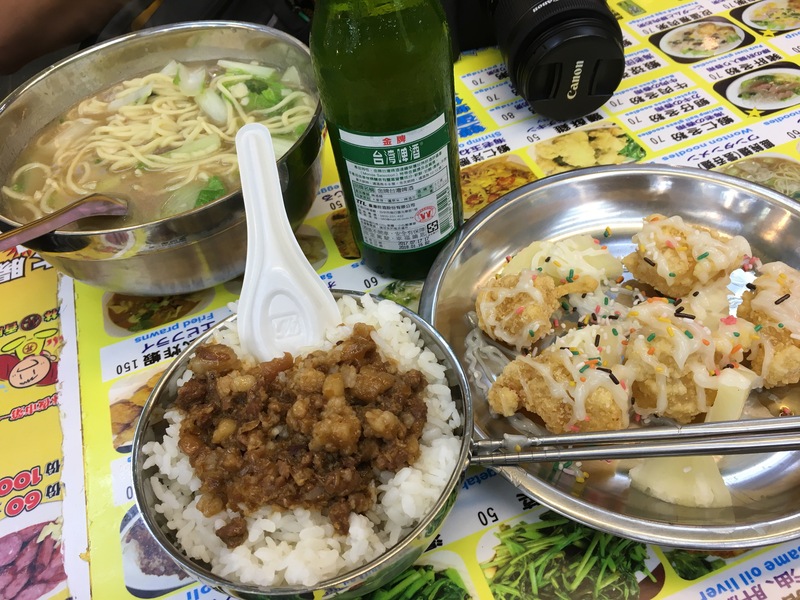 I recommend you try this if ever you find yourself around Jiufen! There is a direct bus going back to Taipei from Jiufen, but be mindful of the time since last trip is at 8:30pm and it can be crowded with tourists trying to go back to the city. 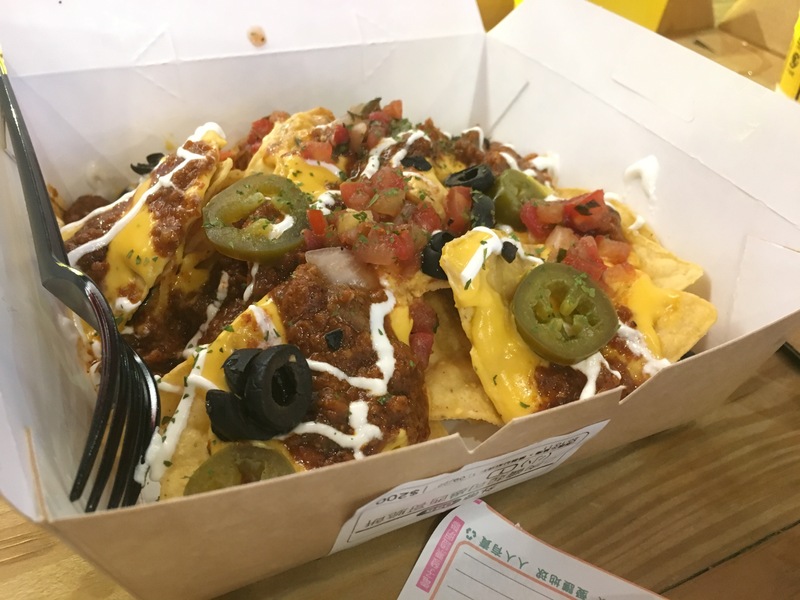 This is a really chill, laid back food park near Taipei 101. Just take the train to Taipei 101 then walk towards ATT4Fun mall then you will see Commune A7 across it. 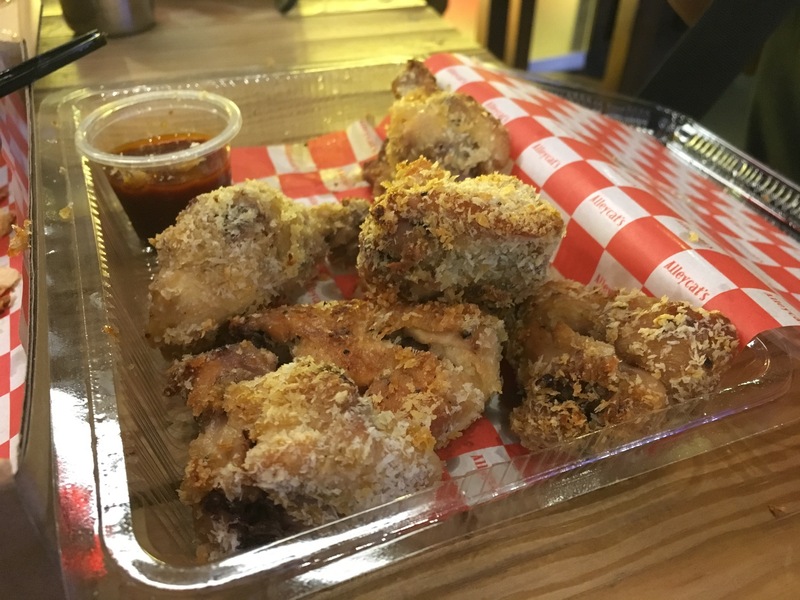 There are several food stalls from burgers, to pizza, to beers, to milk tea and more. 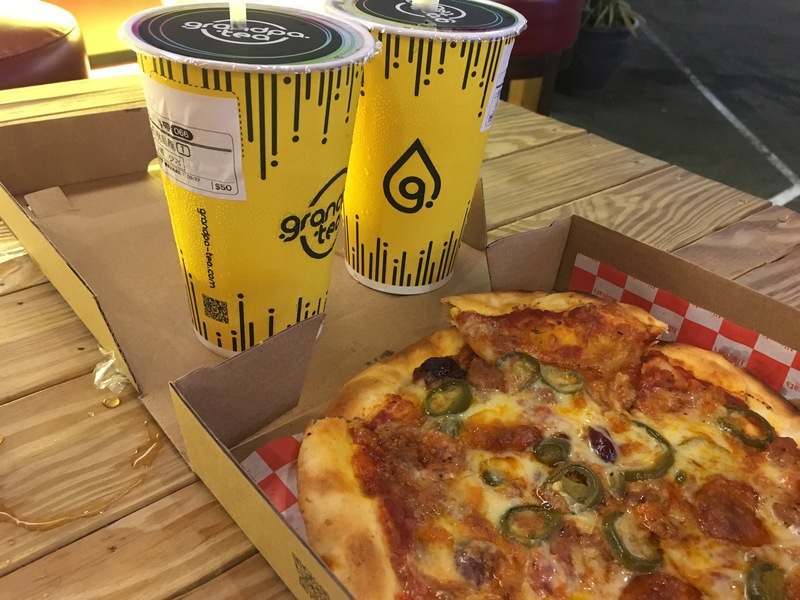 We had chili con carne pizza, baked chicken wings, nachoss and milk tea for dinner. Everything is good and what I like most is that there are many people but it’s not crowded?? Gets?? how did that happen… I wish food parks here are like that too.. 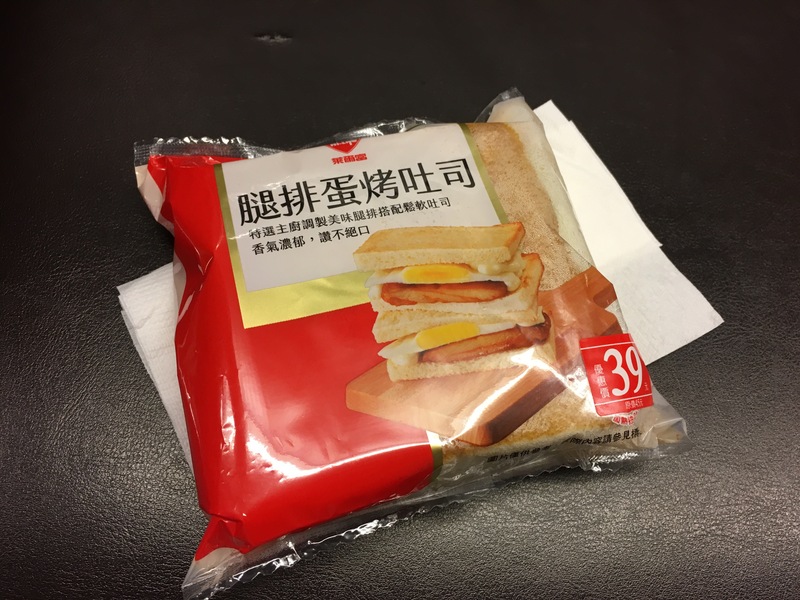 Convenience store food trip for breakfast! I had this roasted chicken with rice + cranberry juice for NTD80. They actually have a lot of food choices in store, you will never go hungry! We’re back at Taipei 101 for picture taking and lunch. There was a line of people waiting for lunch and waiting time is about 70 minutes so we went around the mall while waiting. Din Tai Fung is famous for its xiao long bao and it originated in Taiwan. Once our number was called, we were ushered to our table and orders were taken promptly. 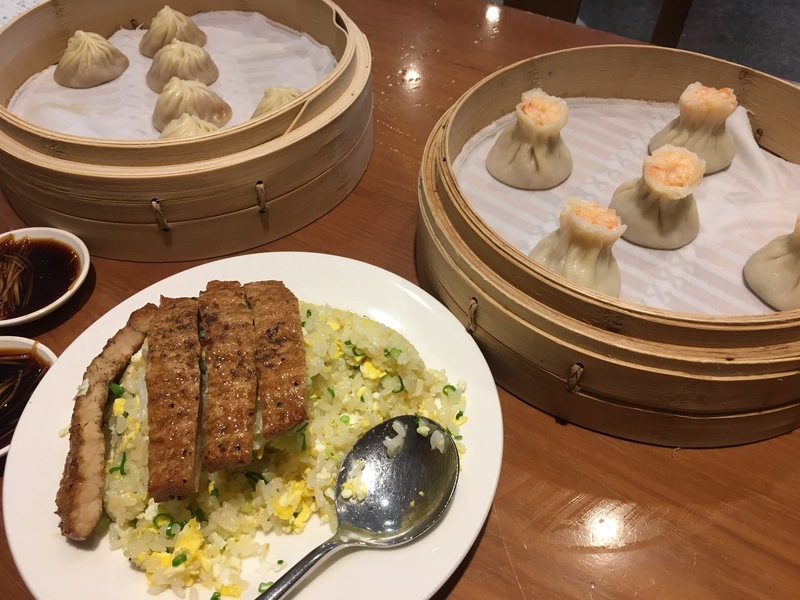 Of course we had xiao long bao (pork, 10 pcs),fried pork with rice and pork/shrimp dumpling. 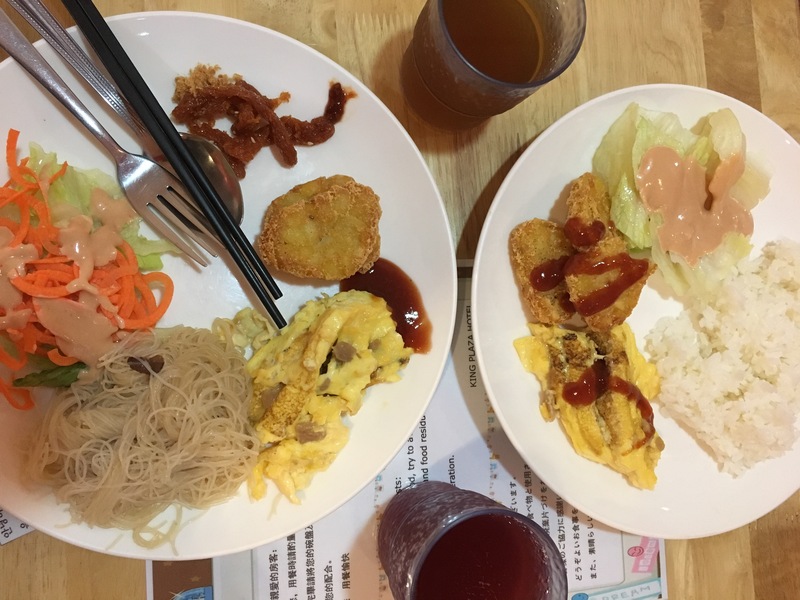 Everything totalled to around NTD600, everything tastes good as well! 😋 Must try! We’re back at Ximending to try and find souvenirs and kill time. 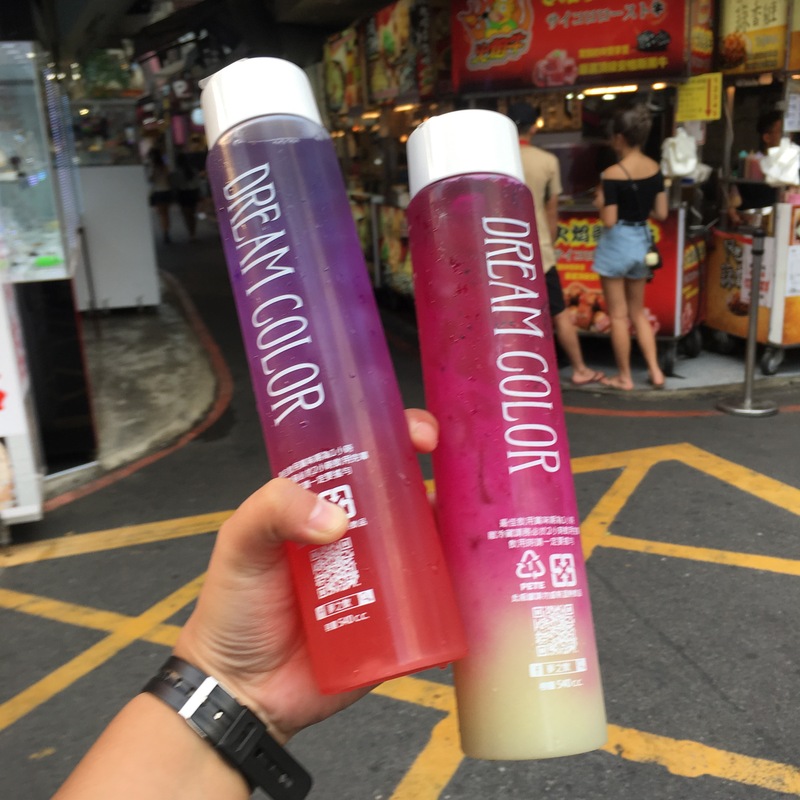 While at it, we tried the colorful drink from Dream Color: guava dragon fruit drink for me and dragon fruit with btterfly pea flower tea for C. We had this combo for NTD100. Surprisigly tasty and refreshing! 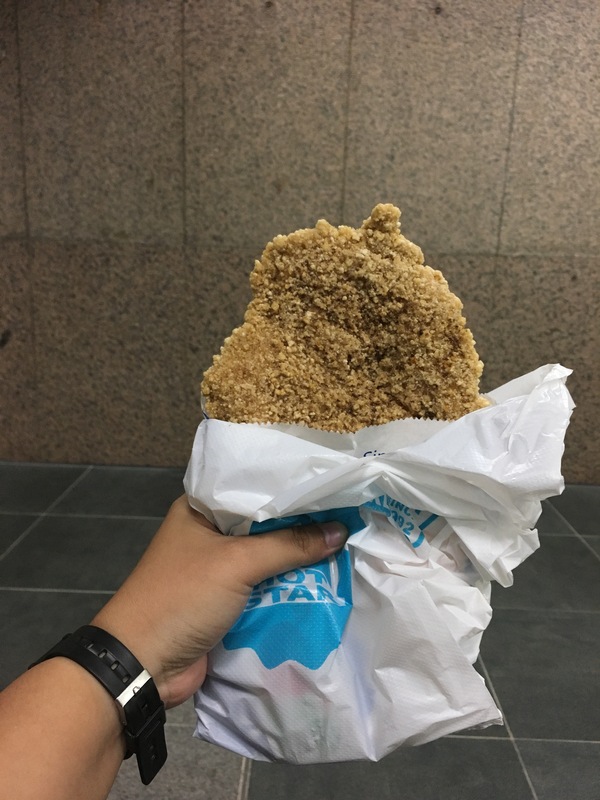 Another Taiwan original is this fried chicken bigger that your hand! They have branches all around the city but we tried the one at the maine station before heading to the airport. Fried chicken came with fries and drink, forgot the price. That wraps up our Taiwan trip. Medyo bitin knowing there are more places to visit and food to try. Anyway, all good. Going back to the airport is also easy since they have an express train from the main station. Fare is NTD120 and it will only take about 30 minutes to reach the airport. Also, wifi connection is available almost everywhere but not super reliable. So I suggest that you get a wifi egg so you can stay connected anytime. This will help you navigate around and avoid getting lost or struggle to ask for directions because not everyone can speak English. If you have any questions or clarifications especially with the visa, just let me know. 😊 Happy travels!